Preston Ranch was purchased by Ken Wilson in 1979. 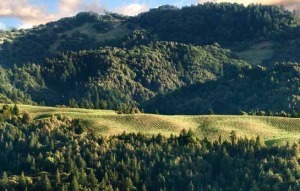 Our vineyard located in the northern Alexander Valley foothills bordering the Russian River is an exceptional site for cultivating Cabernet Sauvignon and other red wine. Composed primarily of Pleasanton gravelly loam soils, with a southwestern exposure at approximately 350 feet, were planted in 2001.